Wahoo Fitness has announced its second UCI WorldTour team partnership for the 2018 race calendar, with the addition of the KATUSHA ALPECIN Pro Cycling Team, led by four-time world time trial champion Tony Martin, Tour de France Green Jersey winner Marcel Kittel and Tour of Spain podium finisher Ilnur Zakarin. 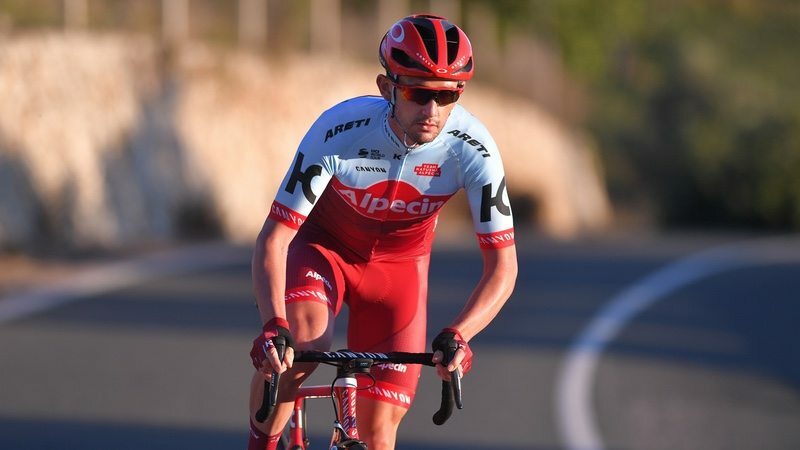 Starting in the 2018 UCI race season, the KATUSHA ALPECIN squad will utilise Wahoo’s ELEMNT BOLT GPS head unit, which was designed using CFD (Computational Fluid Dynamics) testing and, according to Wahoo, is ‘the most aerodynamic cycling computer on the market’, alongside Wahoo’s Bluetooth-enabled TICKR Heart Rate Monitor. The 2018 season will be the tenth year of racing at the WorldTour level for KATUSHA ALPECIN – a team already with 234 total race wins and 434 podium places in its nine years in the professional peloton. As part of the Wahoo product ecosystem, both the ELEMNT BOLT GPS Computer and the TICKR Heart Rate Monitor will serve as elements of the team’s performance strategy, serving riders with key training metrics while enabling them to measure race-winning efforts. In leveraging Wahoo’s leading-edge technology, the KATUSHA ALPECIN team joins BORA-Hansgrohe, led by three-time world champion Peter Sagan, and 2017 Tour de France winners Team Sky, both of whom have turned to Wahoo in the pursuit of performance gains to compete and succeed at the World Tour’s highest level. Headquartered in Atlanta, Georgia, Wahoo Fitness has created a full ecosystem of sensors and devices for the runner, cyclist or general fitness enthusiast. Wahoo Fitness’s award winning line of Bluetooth Smart products include the KICKR and KICKR SNAP indoor bike trainers, the ELEMNT, ELEMNT BOLT, and ELEMNT MINI smart bike computers and the TICKR family of chest-based wearables. The TICKR family, composed of the TICKR, TICKR Run and TICKR X, combine heart rate training with advanced motion analytics.